3D printing is a technology that can be used for any purpose. Anyone can print anything from pre-made designs or ones that were created by them. With just a 3D composite of the object in the computer and a 3D printer, you can actually make something that you really want to make. 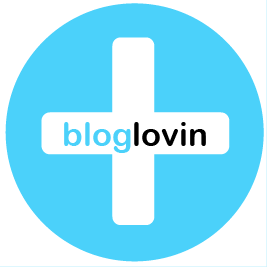 Now, there are a lot of people who want to utilize 3D printing in order to help others and assist in humanitarian purposes. But researchers who are based in Australia have devised a method to make bee hives from 3D printing technology in order to assist the bees in their production of honey. Yes, even bees need all the help that they can get. The technique of crafting 3D printed honeycombs was first thought of by New Zealand researchers. That idea was expanded upon because the idea of 3D printing actual hives for the bees to live in would be able to make the honey industry flourish even more. 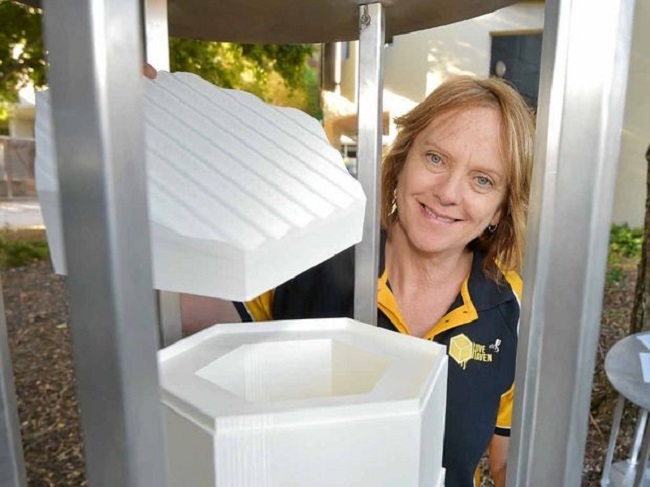 A team in Sunshine Coast has started up HiveHaven, a project that aims to make bee boxes for honeybees and their cousins that don’t have stings, the ones that are important to the process of pollination. The bee population in Australia is constantly at risk from weather changes, predators and other dangers. 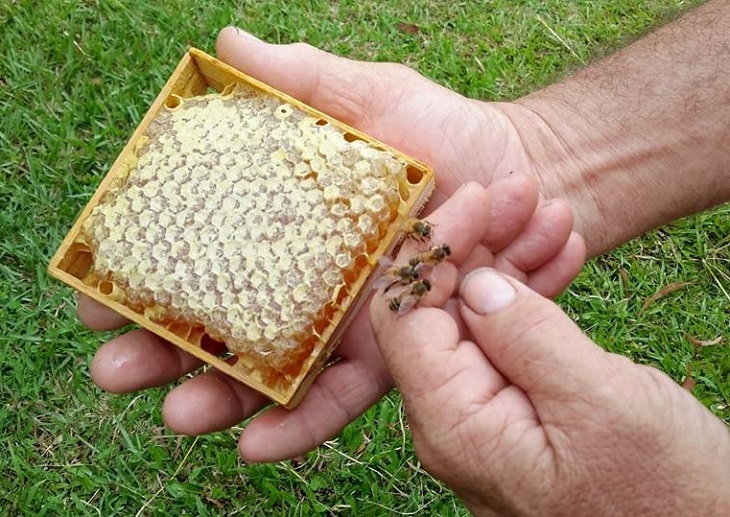 Ann Ross, the co-founder of HiveHaven, said that the stingless bees tend to die off when exposed to temperatures that reach to about 40 degrees Celsius. The 3D printed bee hives will serve as a safe home for them while they also make honey for the industry. The 3D printed bee hives that HiveHaven are developing are meant to help the bees stay in an environment that is ideal for their system. The effects of global warming have taken a serious toll on nature because even the smallest creatures experience such changes and are getting affected by it. A lot of human activity has drastically mixed the realm of the wildlife, thus making many creatures vulnerable. That is the reason why the company is doing everything that they can to sort that out. Old growth hoop pine in the traditional material that people use to make hives, but now a material called HDPE is available for utilization. The interesting aspect of HDPE is that it is derived from plastic bottles that are recycled. The material is durable and sturdy, and it does not take much time to clean it. 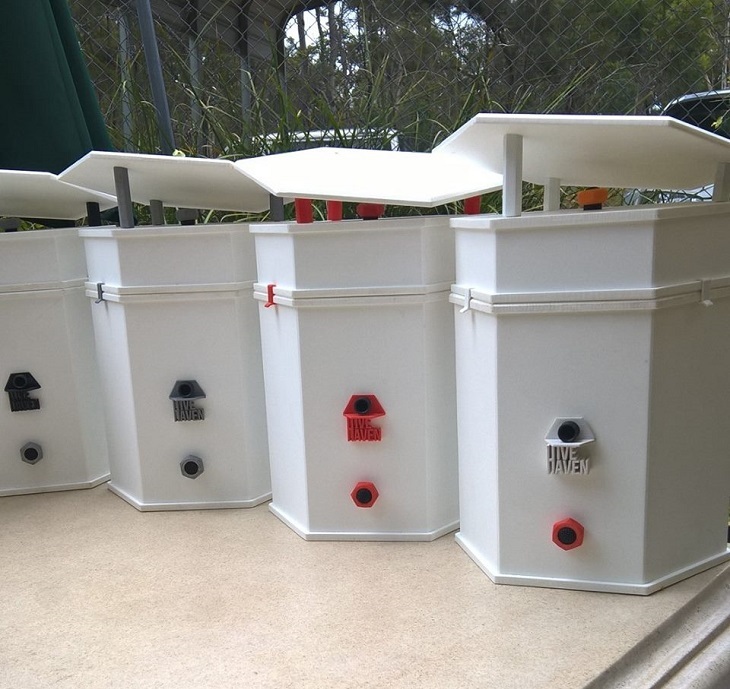 HiveHaven actually makes two varieties of the bee boxes in order to service the different needs of both the honey bees and the stingless bees. They are currently made by hand and the process definitely takes quite some time, even in making a single box. But they are hoping to turn their heads in the process of printing these boxes via 3D printers so that they can actually make more of them in such a reduced amount of time. 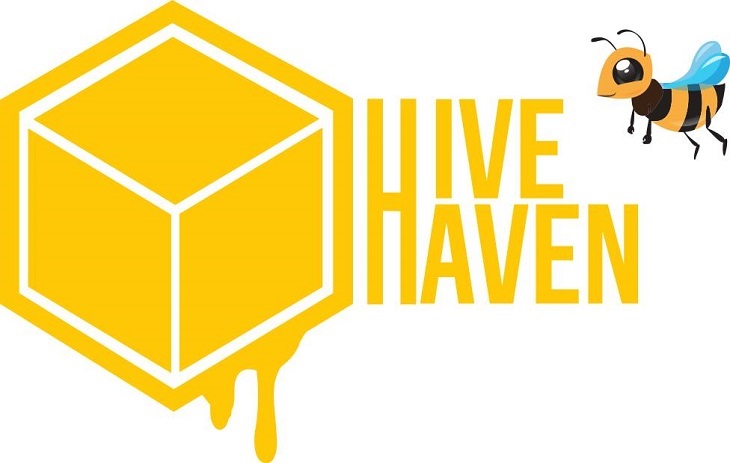 The 3D printing capability is still a challenge as HiveHaven needs more funds for the boxes, but slowly they are going forward and learning more about the process. They turn to crowdfunding to help them realize their goals in providing a safe haven for the bees.